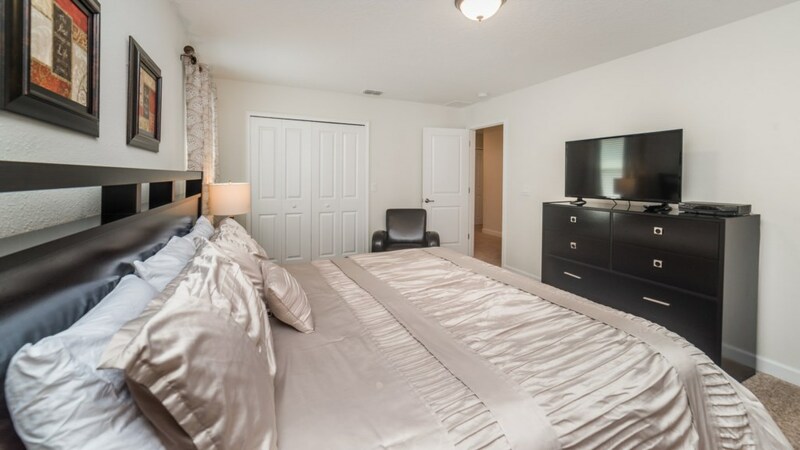 Located in the resort community of Storey Lake, this 6 bedroom, 5 bathroom home is sure to be at the top of your list for places to stay. 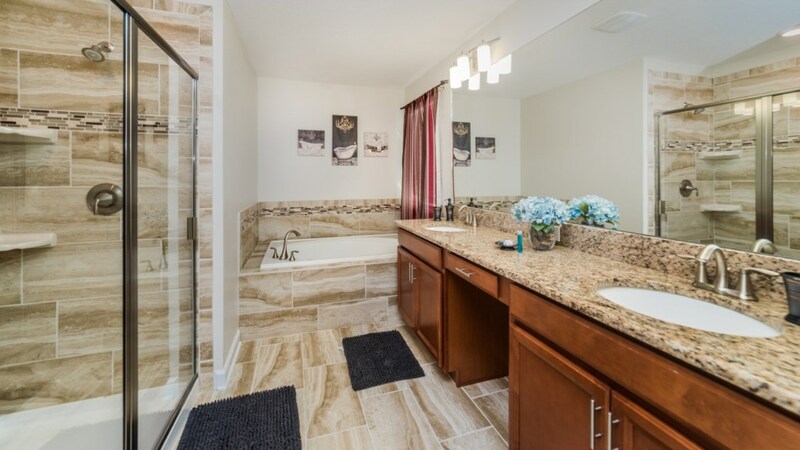 Walk into this home and experience pure luxury. 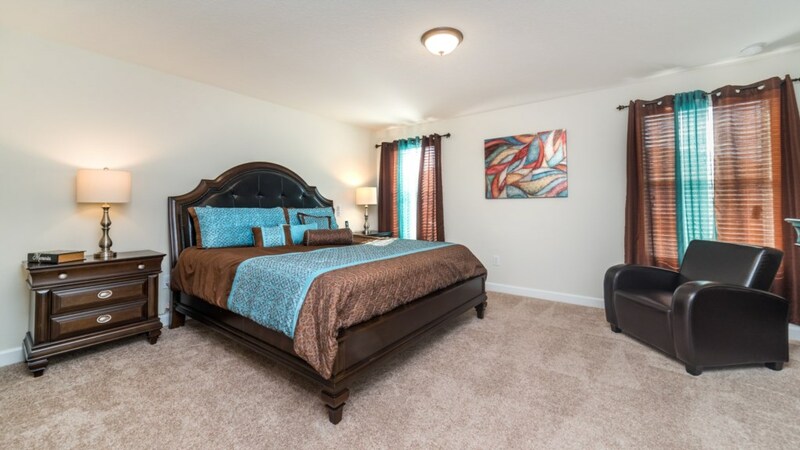 The 6 bedrooms gives everyone plenty of space to relax and rest. 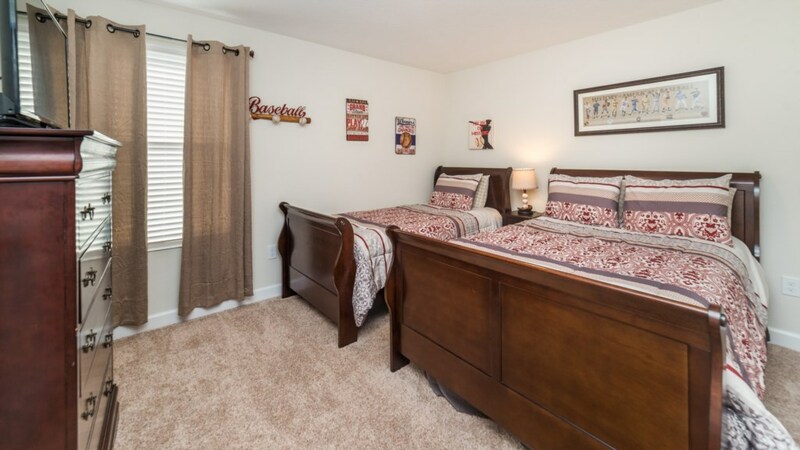 With 2 rooms with 2 king beds, and 4 rooms with both a twin and double, this home can sleep up to 16 guests. 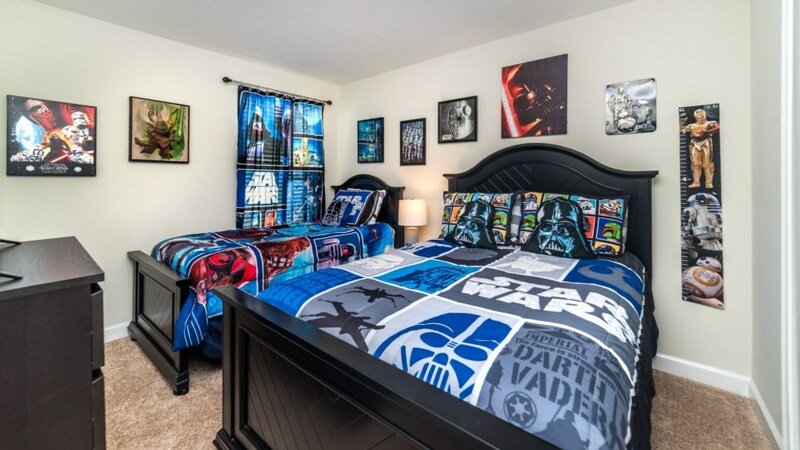 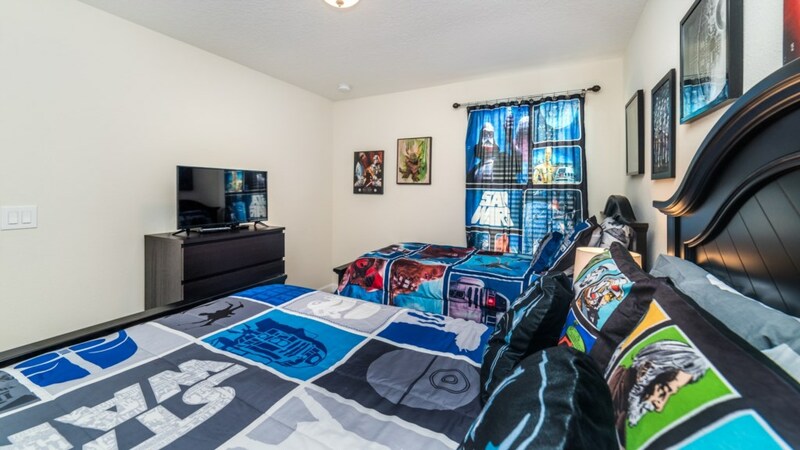 Each bedroom is unique and includes a princess theme as well as a Star Wars theme room! 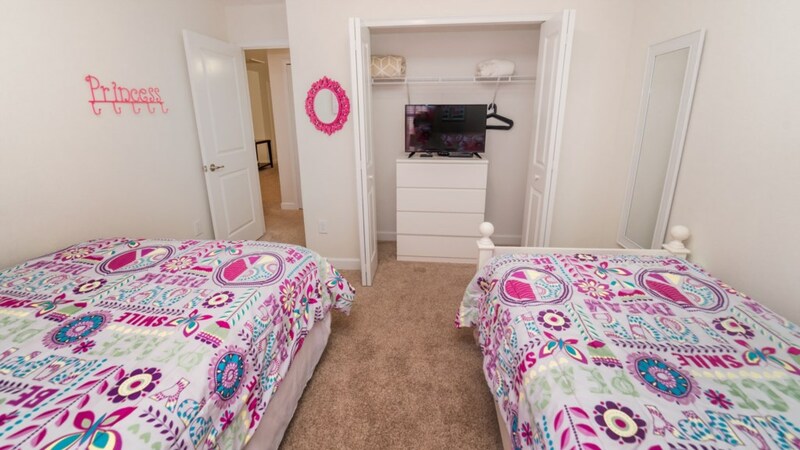 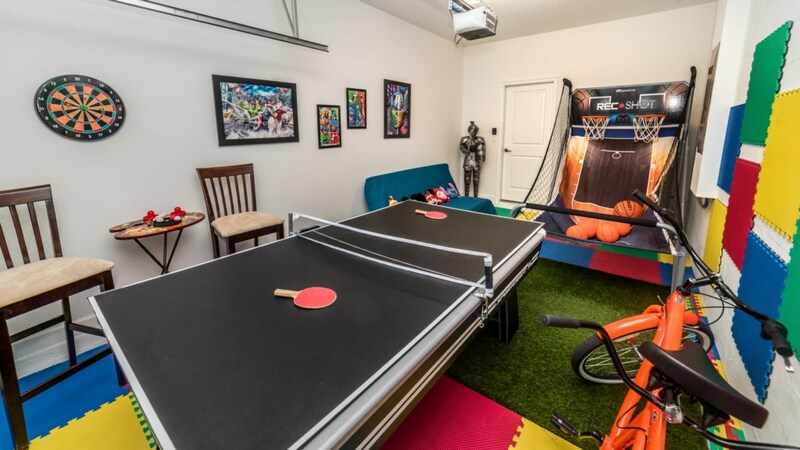 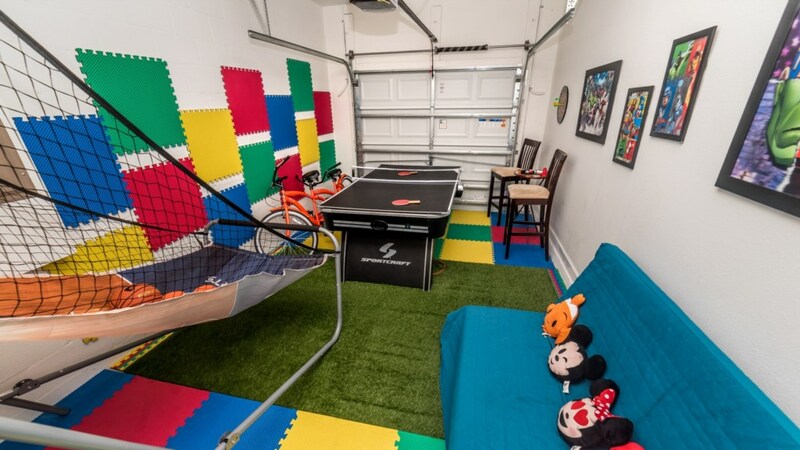 The little ones in your group will be excited to stay in these rooms. 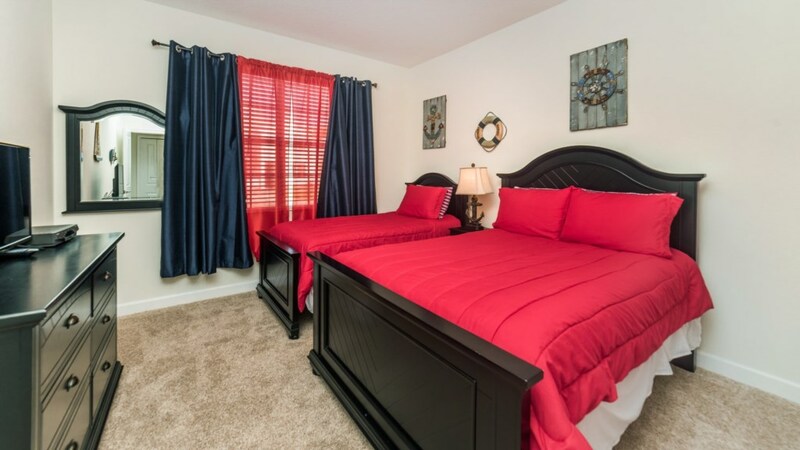 The two king bedrooms are inviting and spacious. 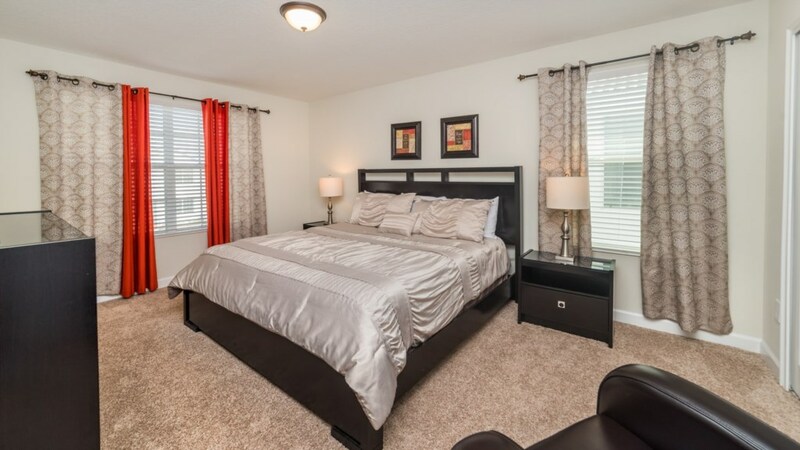 This home also has plenty of living space both on the first and second floor. 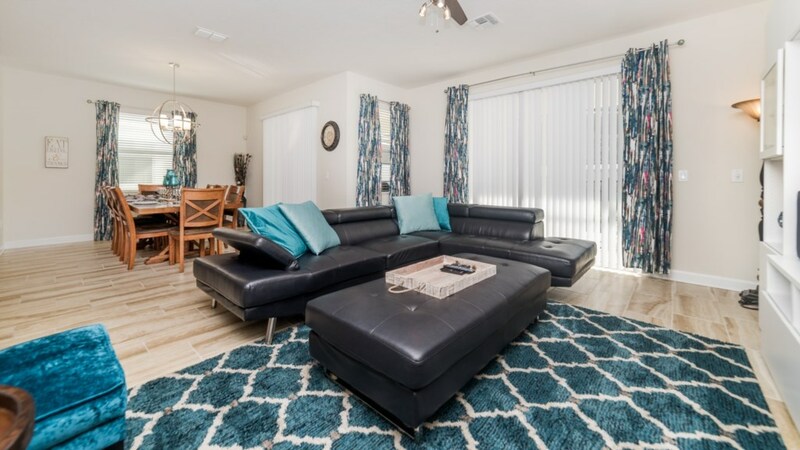 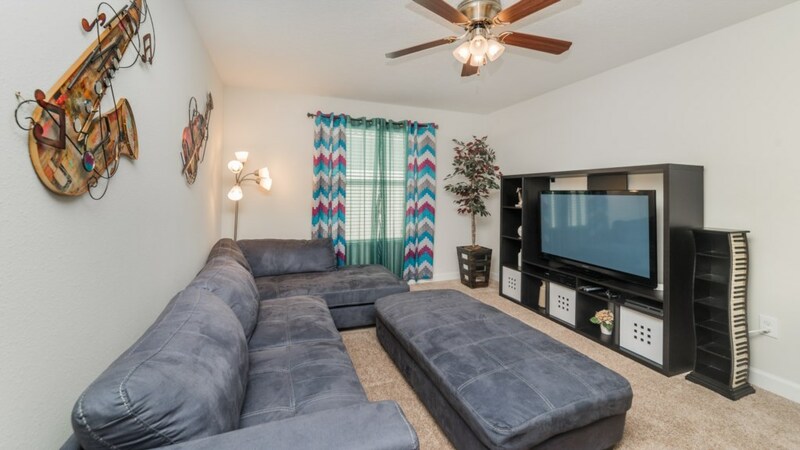 This first floor living room has a large leather couch, which faces a 50” flat screen and looks over the pool area. 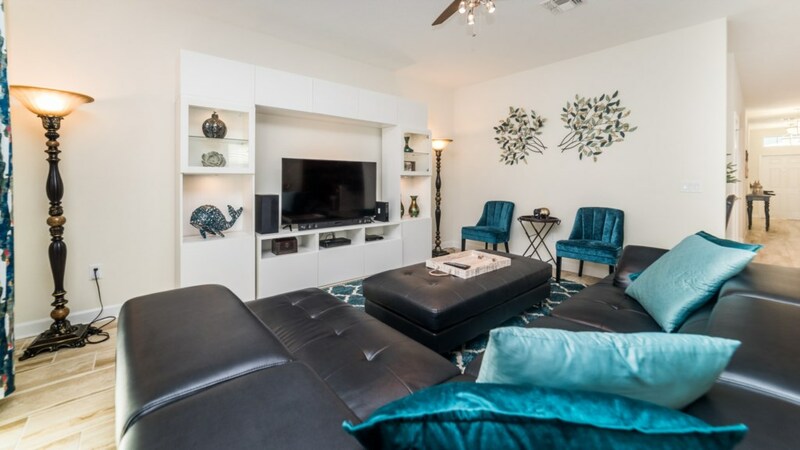 The upstairs living room is intimate and cozy with a 55” flat screen and another wraparound. 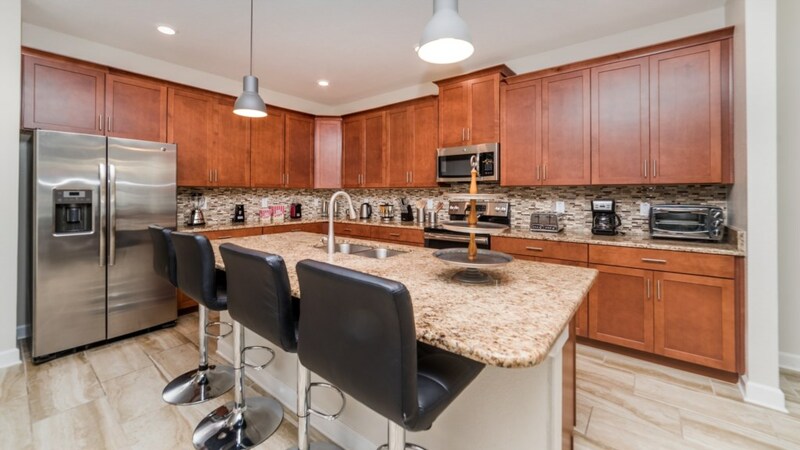 The kitchen and breakfast bar in this home makes whipping up gourmet meals a breeze. 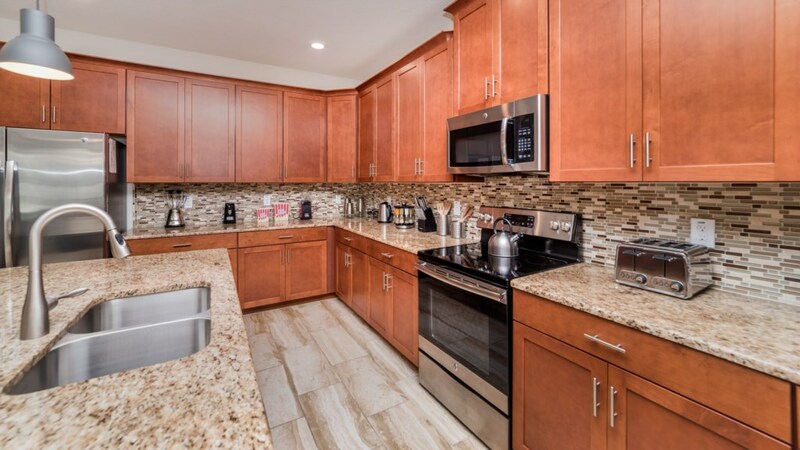 With all the necessities of home and the luxuries of vacation, you will be happy to cook here! 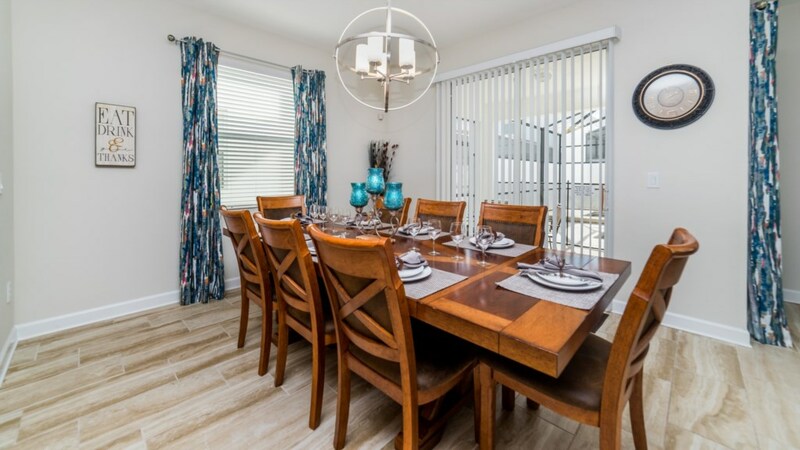 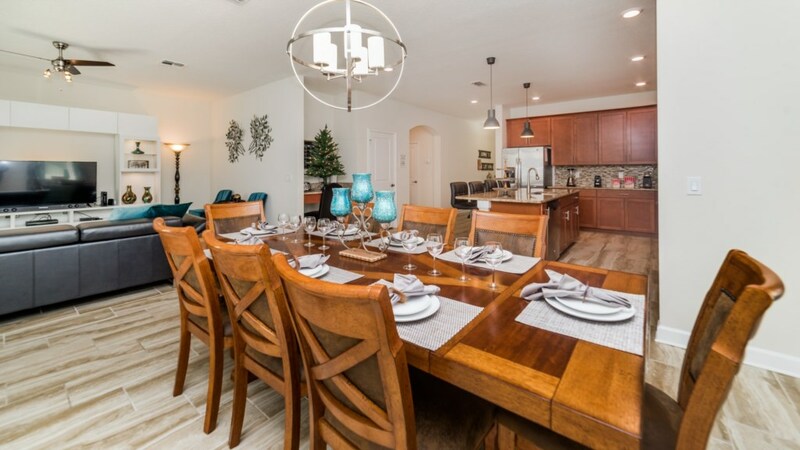 The dining room table is the perfect place to gather as you share a meal and memories from your day at the pool and theme parks. 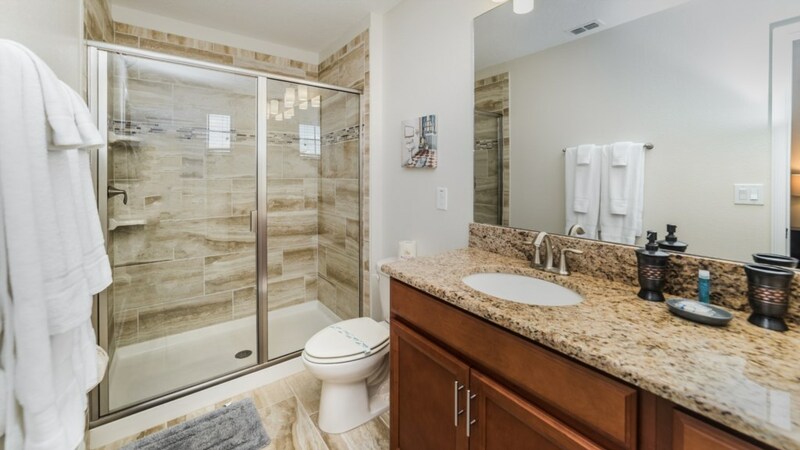 Speaking of pool, this home has its very own pool and spa where you can spend all day in the warm Florida sun. 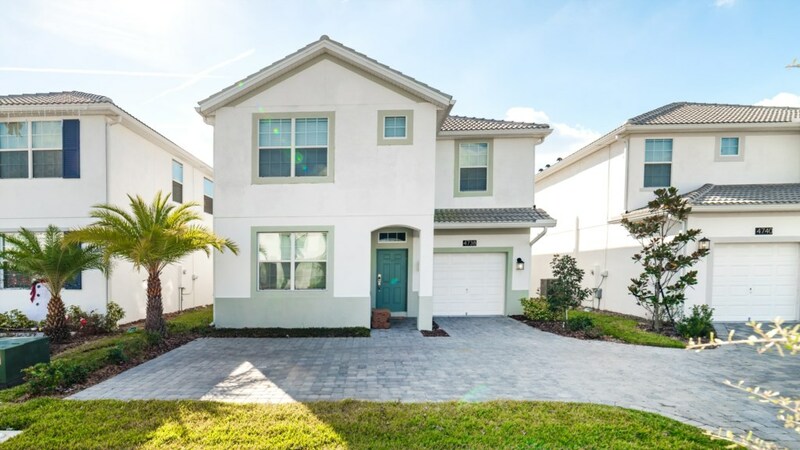 The perfect way to cool down in Florida is by jumping in the pool and you will have one in your very own backyard. 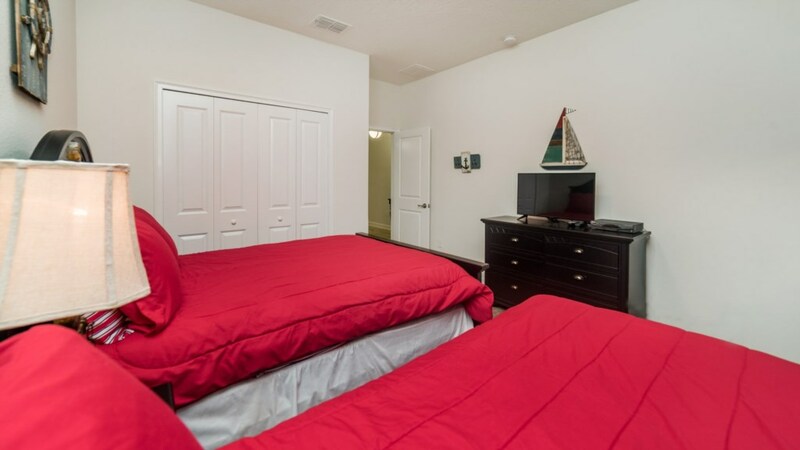 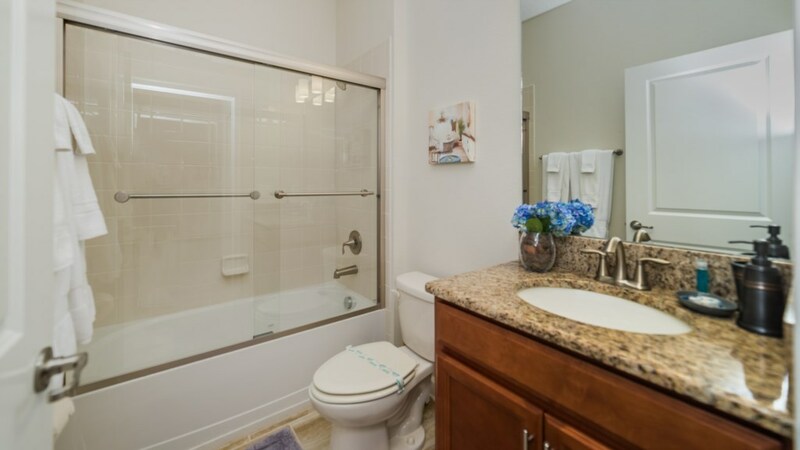 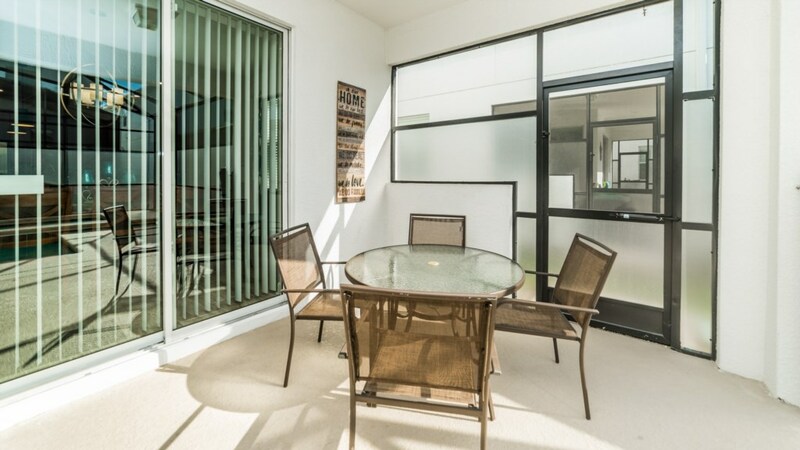 Do not forget that this home comes with a washer and dryer for you to use as well as free wifi. 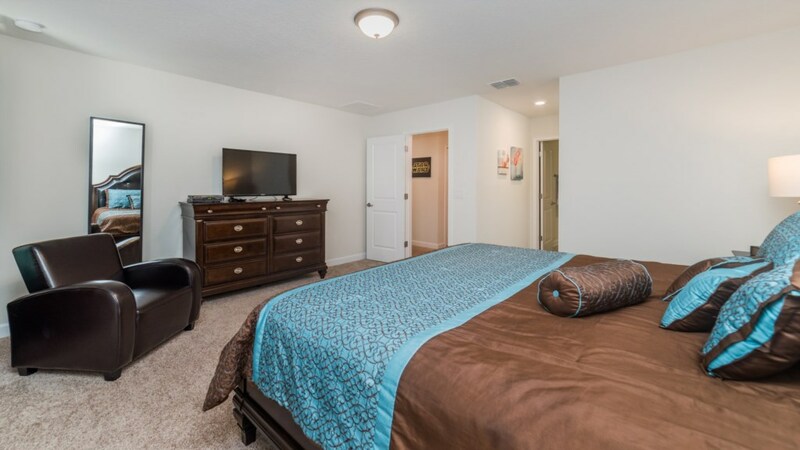 Lastly, this home comes with access to the clubhouse which has all the amenities of a luxury resort such as a pool, lazy river and plenty of slides. 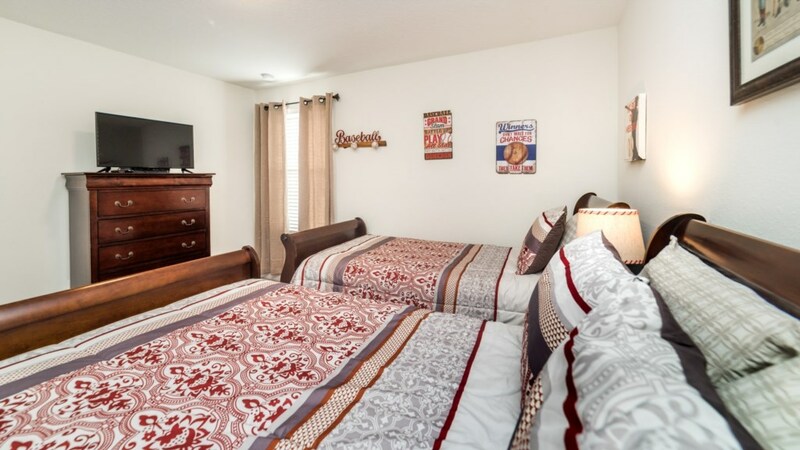 Get ready to have the vacation of a lifetime and book today!